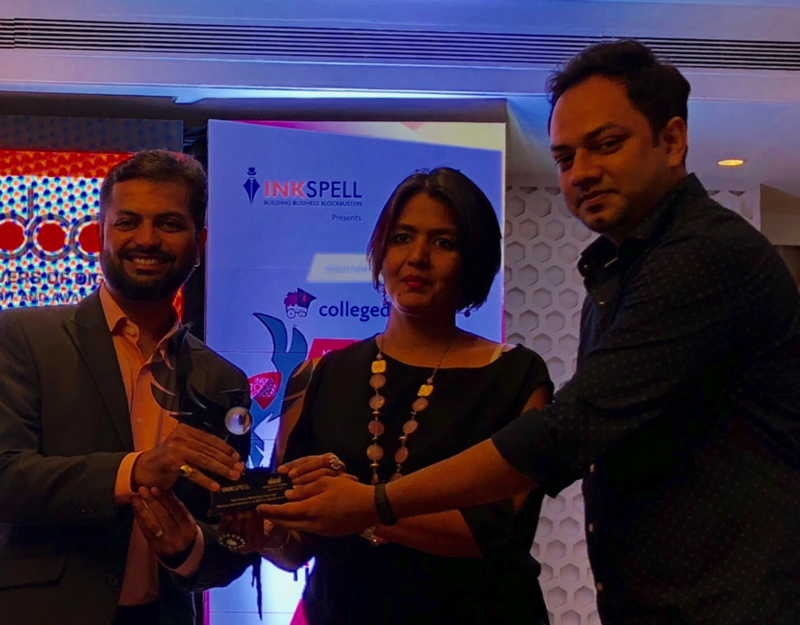 Pinaki Chakraborty from Myntra, Kaushal Thakkar, Hemant Anjara and Karthik Kotian from INFIDIGIT receiving the award. It is raining accolades for up-and-coming, Mumbai-based SEO/digital marketing firm, INFIDIGIT! After winning the Best Search Marketing Award at the Drivers of Digital Summit, 2017, in less than a year from its conception, it has added yet another feather to its cap by bagging the India Content Leadership recognition for its award-winning content strategy for the fashion e-commerce giant, Myntra. Search marketing In India is synonymous with Google search. In 2016, after Google introduced the ‘Featured Snippets’ position in its search results to help users find better answers to their online queries/questions, competitor websites started gaining prominence over Myntra. The search marketing teams at Myntra and INFIDIGIT rose to the challenge and, after some collective brainstorming, designed an out-of-the-box yet effective content strategy to help Myntra regain the lead in Google’s search rankings for all high-search-volume keywords. If you, like so many fledgeling search marketers, are wondering what the benefits of getting listed on “Featured Snippets are”, the answer lies in the specific edge it contributes by delivering high click-through rate because of its position above the other search results. A search result for a website, even if placed, for instance, seventh in the overall keyword rankings can still nail the much-coveted ‘Featured Snippet’ position. This position presents a golden opportunity to digital marketers to employ fresh marketing tactics for better brand visibility. Deepak Srikumar, Head of Digital Marketing at Myntra, expressed his happiness about the success of this content campaign. He said, “Myntra & INIFIDIGIT team have been working together for SEO for more than a year. INFIDIGIT is a very diligent team – not only is their analysis to the point, but they also worked with our product & engineering team to make sure everything gets implemented. 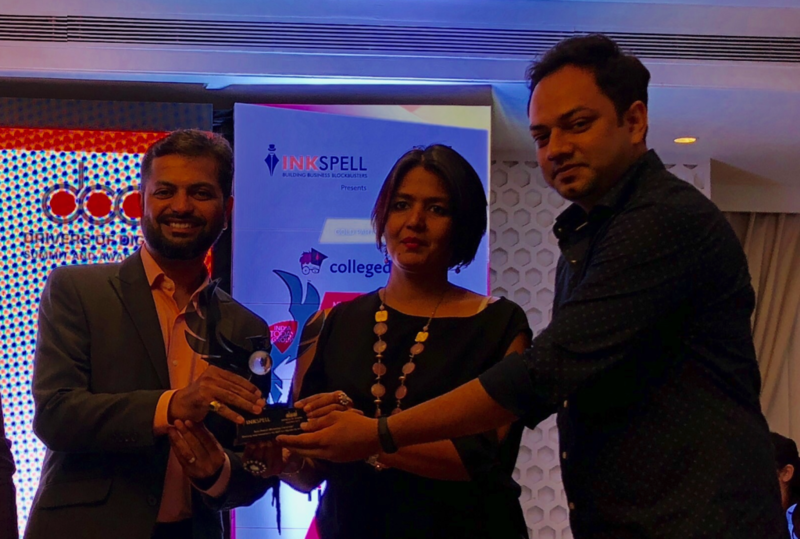 We are happy to see that the team synergies between the two organisations helped us to win the Indian Content Leadership award for Best Content in a Search Marketing Campaign – 2018”. Not one to rest on past laurels, INFIDIGIT’s founder, Kaushal Thakkar, along with his team of perceptive SEO analysts and content strategists/developers, has always strived to push the envelope of innovativeness. He pegs this success on systematic thinking that is driven by data and a thorough understanding of the role of well-written content in contemporary search marketing. Add to this the congruity of ideas of the teams at Myntra and INFIDIGIT, and the result was compelling content that was formatted into concise paragraphs, bullet points, numbered lists and tables while having a healthy mix of keywords determined by the term frequency-inverse document frequency (TF-IDF) ratio. 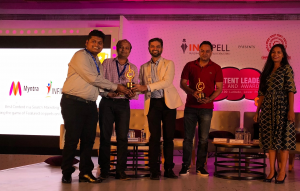 With the focus on innovation and expectations higher than ever, it remains to be seen if Myntra & INFIDIGIT will bag a third consecutive win in the digital marketing awards space. We wish them success in all their future endeavours! INFIDIGIT is a Mumbai-based SEO agency with multiple eCommerce and enterprise clients in the USA & India. Founded by Kaushal Thakkar, whose 15 years-long digital marketing career spanning roles with the Times Group, Tata Group, ICICI group and Myntra, speaks for itself. INFIDIGIT focuses exclusively on Search Engine Optimization and employs a no-room-for-error technique, based on a thorough analysis of all data. Its team of dedicated digital marketing professionals has helped win multiple accolades.